Dusty is back in the studio this month finishing up the Oliver Loving monument “Father of the Trail”. 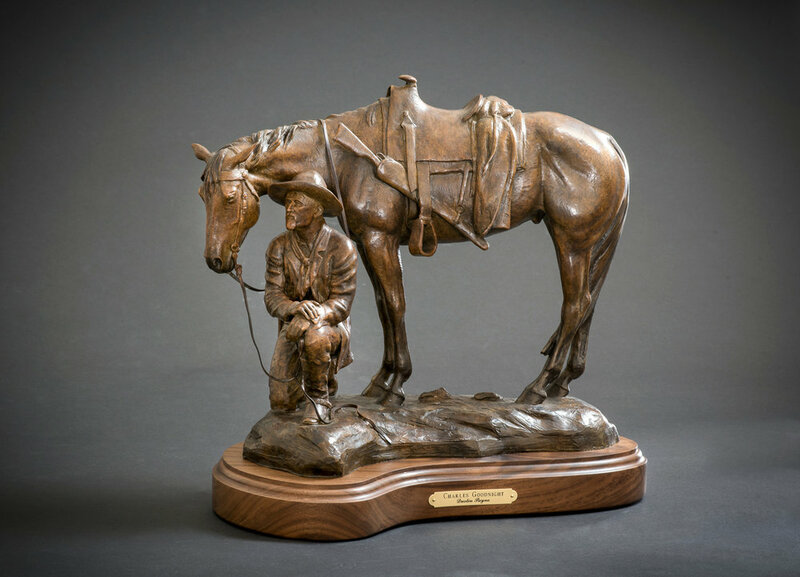 This piece is a horse-and-rider that goes along with the life-size “Charles Goodnight” that will both be placed on the Riverwalk in Pueblo, Colorado early next Spring. 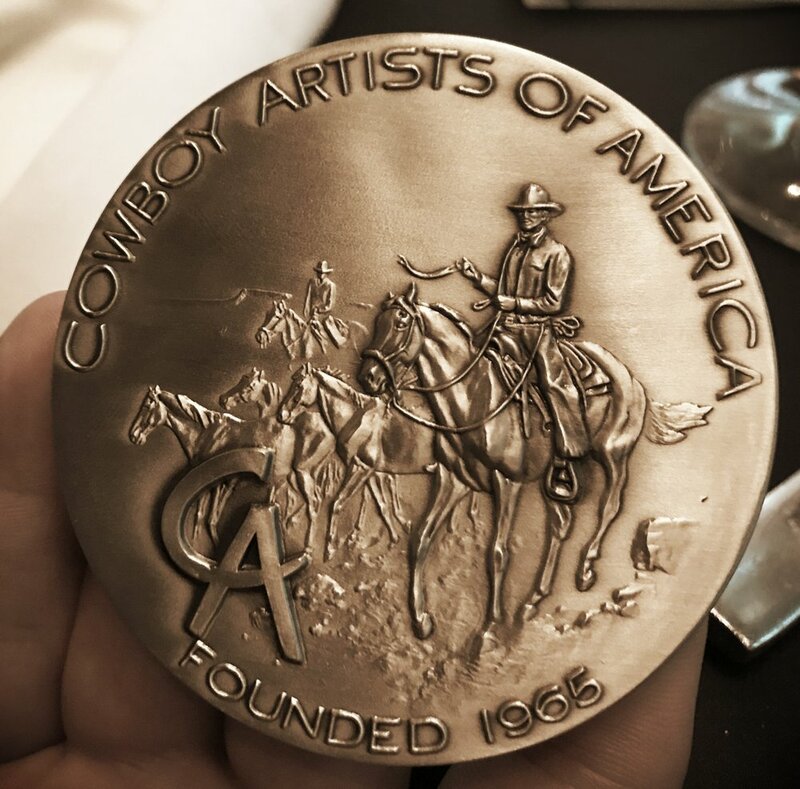 After coming home from the Cowboy Artists of America show, we were excited that all of Dusty’s work was sold at the show and he was honored with a silver medal award for his sculpture “The Midnight Storm”. We want to thank all of our collectors that purchased the work at Dusty’s first show in Oklahoma! This winter, Dusty will be working on next years’ show and looks forward to unveiling a new group of work in 2019. 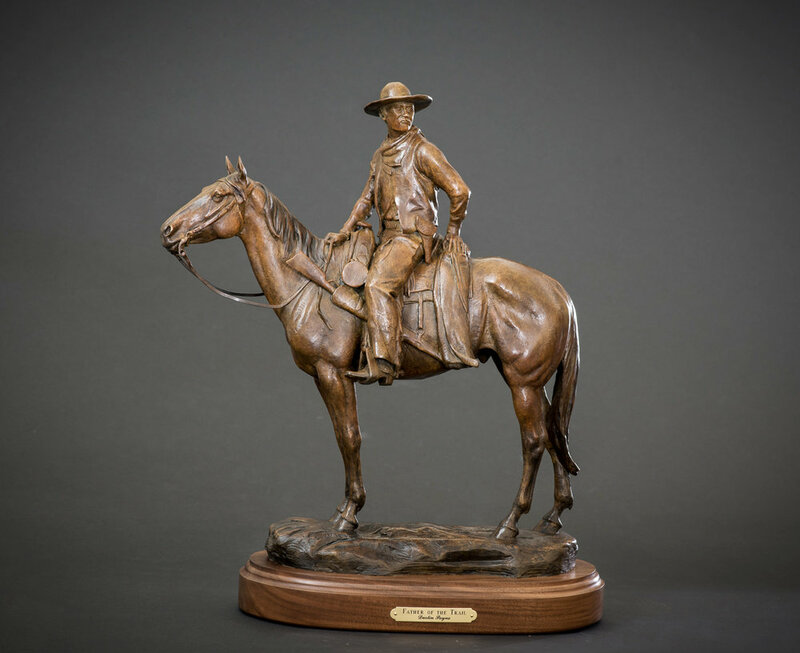 I will be sending out info on any kind of unveiling of the Charles Goodnight and Oliver Loving Monuments as they are cast in bronze and when they are headed to Pueblo. Meanwhile, we have the study-size available for both of these pieces to order in bronze. We offer payment plans on Dustin’s work, so if you are interested please contact me for ordering/shipping info at tammy@dustinpayne.com. These pieces will take about 8 weeks to get through the foundry and ship out. Please also watch our Instagram Account for more details coming up on a giveaway this month; a limited edition bronze just in time for the Holidays. We will have more details about this soon!